China's financial capital, Shanghai can be a bit overwhelming for a new visitor. Although it has a cosmopolitan vibe and truly cutting edge infrastructure, language can be a bit of a barrier here, so it helps to prepare before you touch down in this fast-paced city. Downloading the right app on your smart phone is key, and the simplest way to overcome the language barrier. With Google Translate ineffective in China thanks to the ban on all the services of the search giant, Google (although one can get around with a virtual private network app which is spotty at best), I pinned my hopes on something called 'Speak & Translate'. It helped me get through the next couple of days with relative ease. Fortunately, I arrived at night, well-rested and well-fed on my Sri Lankan Airlines flight from Colombo (the airline offers a brief stopover in this charming city from Mumbai, en route to Shanghai), so all I had to do was get to my hotel and hit the sack, before enjoying a full two days in this dazzling city. Sans the luxury of time, staying at the Pudong Shangri-La in the heart of the city helped me hit the ground running the next morning and explore the city efficiently. Although the metro is top class, hailing a cab is fairly easy and won't break the bank. 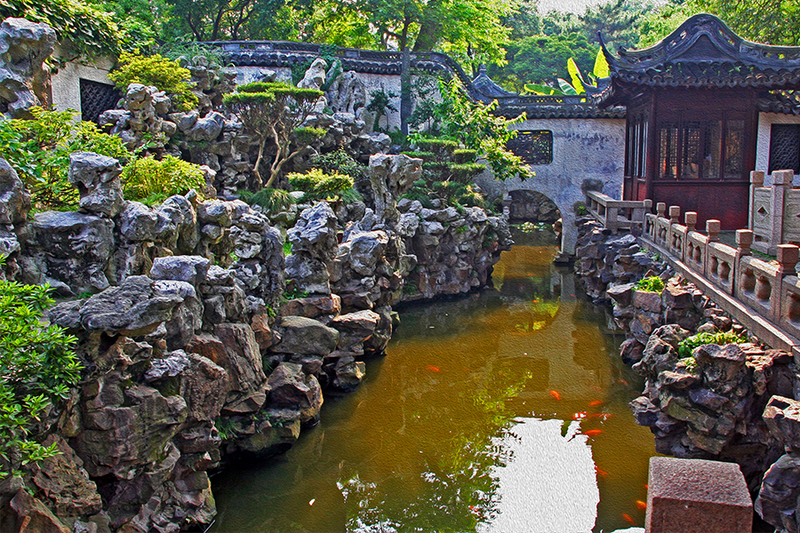 Yu Garden: A peaceful oasis in the heart of the city, this 400-year-old garden has been around from the times of the Ming dynasty and comprises open spaces, along with beautiful pavilions and halls. My personal favourite was the exquisite Jade Rock with its artistic carvings that left me spellbound. Tianzifang: Sauntering through the charming alleys of Tianzifang on a pleasant afternoon is time well spent. With its kitschy stores offering a variety of local arts and crafts, and a plethora of cafes and restaurants, this is the ideal place to grab a bite and soak in the local flavour. 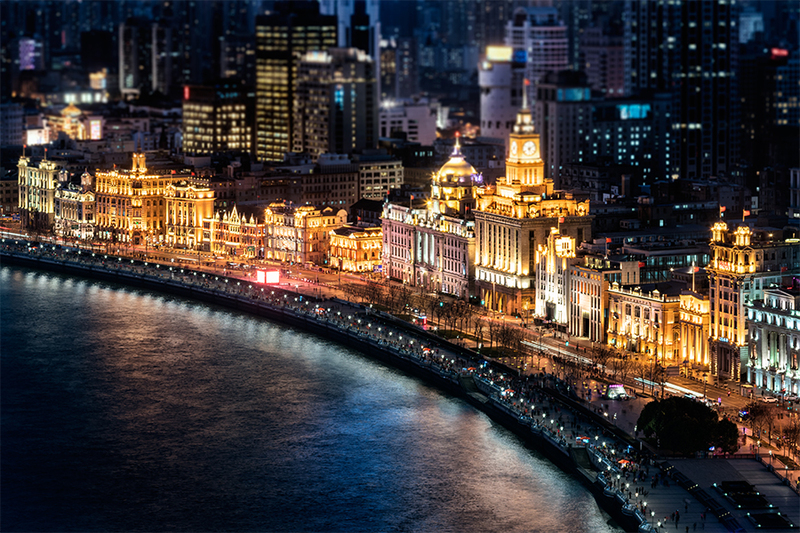 The Bund: Along the Huangpu River, this waterfront promenade remains the most popular attraction in the city. On the Eastern side is the Pudong district, with swanky hotels and imposing high rises along with the prominent Oriental Pearl Tower, while the Historic western side is dotted with buildings influenced by Gothic, Roman, Baroque and the Renaissance styles and is often referred to as the ‘museum of international architecture’. 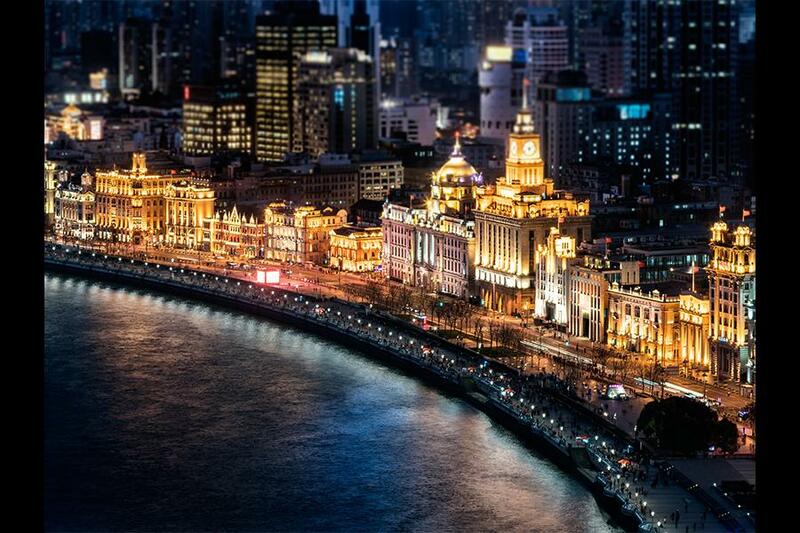 Witness a Vegas-like transformation of the city’s skyline with an hour-long night cruise on the Bund. The magical experience of taking in the glitzy city by night while sailing on the calm waters is worth the long queues that one may encounter. The Nest: A trendy restaurant and bar with quintessential minimalism that is synonymous with Scandinavian design, The Nest is patronised by a hip crowd. Backed by Grey Goose, it's no surprise that vodka-based drinks are of the top order here. I really fancied the Birds of Hermes, their rendition of a Bloody Mary with pepper-infused vodka, herbs and celery. Meals are primarily a Nordic affair, with the extensive menu introducing me to a wide variety of dishes, way beyond the smorgasbord that I was exposed to prior to this dining experience. 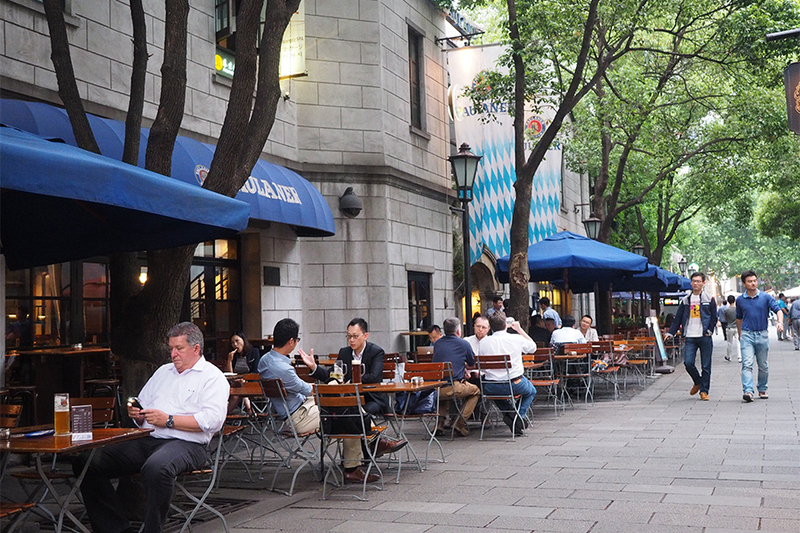 Speak Low: Easily one of the top speakeasy bars in Shanghai! The idea of a hidden bar behind a storefront during the prohibition era in 1920s' US continues to enthrall party goers around the world, and has been successfully adopted by the Shanghainese as well. A bookshelf in a bar tool shop slides effortlessly to lead you to a three-storied speakeasy, each floor with a vibe of its own. Shinko Gokan, the Japanese bartending champ behind the establishment deftly creates unique concoctions that will leave you with a happy buzz. I really couldn’t speak highly enough for Speak Low! 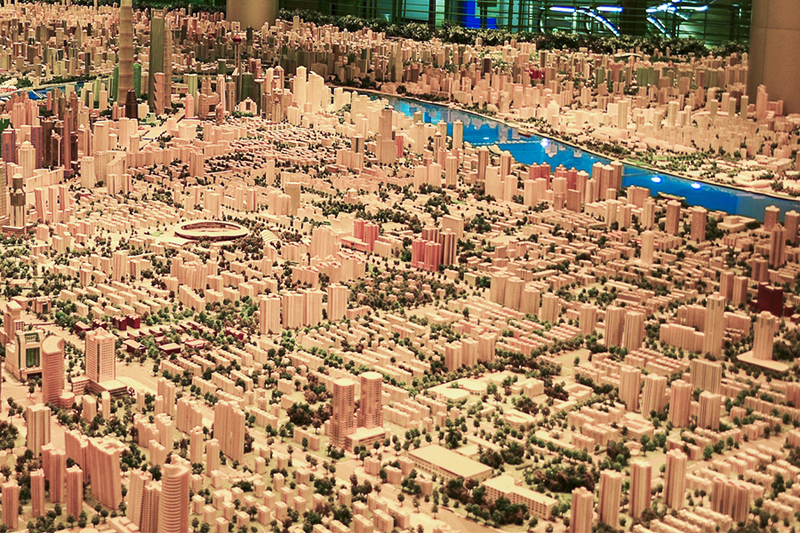 Shanghai Urban Planning Museum: Perhaps one of the reasons why Shanghai is on the map today as a world-class city! On the 6th floor of this relatively smaller six storey structure is a scale model of the entire city of Shanghai, showcasing existing as well as approved buildings for future constructions. A must-visit museum that gave me deep insights into the planning behind the explosive infrastructure growth in this global hub. 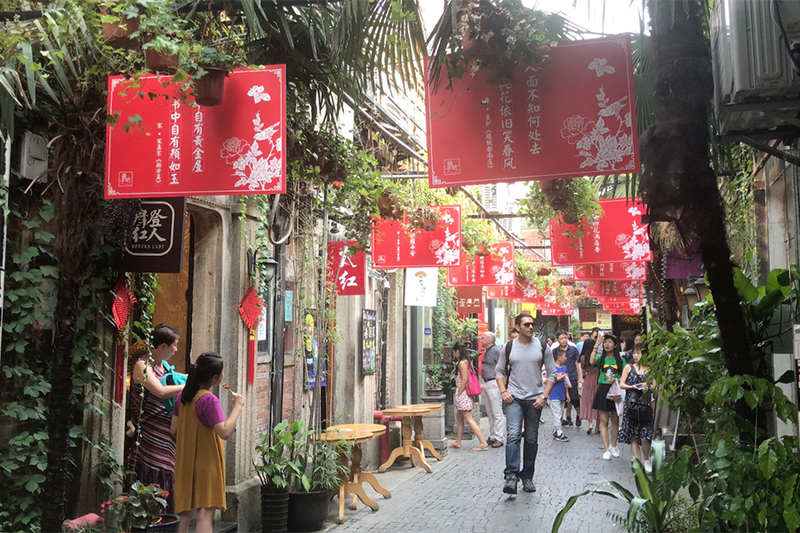 Xintiandi: This chic neighborhood in the famed French Concession Area houses avant-garde restaurants, bars, and shopping. The amalgamation of the new with the traditional 19th century 'Shikumen' (stone gate) architecture has pushed real-estate prices sky high, with some homes in this neighborhood priced higher than those in New York, London or Tokyo. Gui Hua Lou: The Chinese restaurant at the Pudong Shangri-La boasts of a wide variety of dim sums, as head chef Gao Xiao Sheng whips up authentic Sichuanese and Shanghainese dishes with a contemporary touch. While I had the good fortune of a personal one-on-one cooking session with Chef Gao while filming my travel series, my feeble attempt served a reminder that culinary skills may never be my forte after all! The tastefully decorated 'Jade on 36' bar at the same hotel offers jaw-dropping views of the Bund and the Shanghai skyline. It was the ideal spot to wash down my delicious meal with addictive coffee martinis masterfully created by the talented mixologist. If I didn't have to brace myself for the late night flight back to Mumbai (via Colombo), my night of decadence may never have ended!